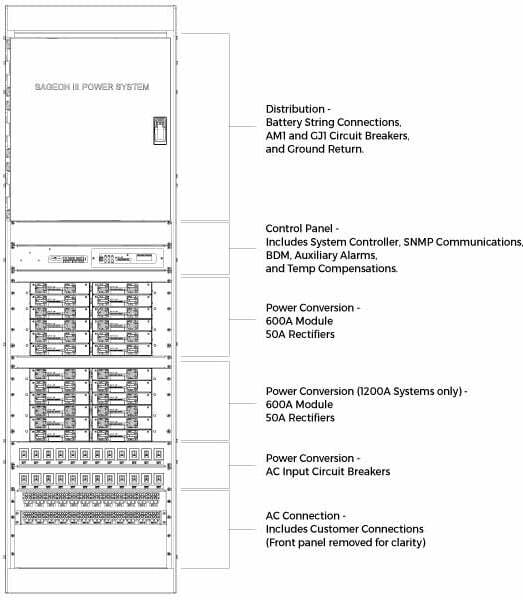 Sageon III are 600 amp and 1200 amp Front Access DC power systems that combine a hot-swap modular rectifier unit with load distribution and multiple battery string connection. The Sageon III 600 and 1200 amp front access DC power systems are the largest ‘Intelligent Power’ systems in the Sageon Family. They are simple to operate, with built-in intelligence to minimize manual adjustments and measurement settings, while providing information about system health and reliability. 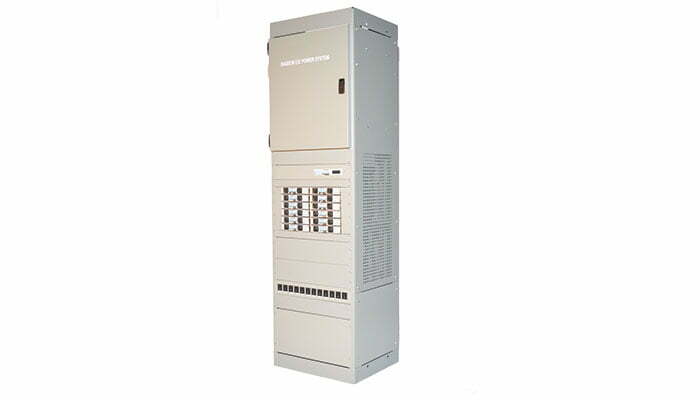 The Sageon® III systems are capable of delivering either 600A (28kW) or 1200A (56kW) N+1 blocks of power for -48V applications and include up to 60 distribution breakers, all in a single 7ft bay. The basic Sageon® components of smart rectifier, controller and flexible distribution enable this system to be easily sized. The Sageon® family of power systems products will always accomodate your changing power needs and is designed to allow you to remotely view, record and act upon all the data from a site. The Sageon® III gives you the capability of battery and site monitoring demanded in today’s market.